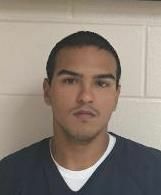 EDINBURG — The trial of a Donna man accused of murder for his role in the shooting death of a Brownsville teenager is expected to begin this week. Jury selection in Jorge Alberto Guajardo’s murder trial is set for Monday, after months of back and forth from Guajardo, who at one point had agreed to plead guilty in exchange for a reduced sentence. If Guajardo’s trial begins Monday, he would be the only person charged in the shooting to go through a jury trial. Guajardo faces four counts of murder, and three counts of attempted murder in connection with a shooting in late 2015. The other man involved, Rolando Rene Rodriguez, a member of the Tri-City Bombers, a street gang formed in the early ‘80s in the Pharr, San Juan, and Alamo area, admitted to shooting and killing Javier Olmedo, a Brownsville teenager. Rodriguez claimed he shot at Olmedo, who was 17 years old at the time, because of an alleged threat Olmedo’s gang made against one of Rodriguez’s family members. In January, District Judge Noe Gonzalez sentenced Rodriguez to 35 years in prison during a hearing where both he and Guajardo were expected to accept plea deals. That was the first time Guajardo went back on a proposed deal — and instead Gonzalez allowed him additional time to decide whether or not he wanted to take his chances with jurors. In February, he changed his mind after it appeared to state prosecutors that he was going to accept the offered plea deal. A month later in March — Guajardo said he wanted to go to a jury to argue his case. The 24-year-old man with alleged ties to the Tri-City Bombers turned down a plea deal that would have allowed a judge to sentence him to 25 years in the teenager’s murder, according to court records. Prosecutors for the state said that at about 6 p.m. Sept. 28, 2015, Rodriguez and Guajardo fired at least 10 rounds into a vehicle carrying Olmedo and other rival gang members on West Expressway 83 near the overpass on Val Verde Road in Donna. But Guajardo vehemently denied the prosecutor’s allegation that he fired any weapon that day, and testified he felt he couldn’t argue with Rodriguez, who was holding a gun at him when he picked him up. Guajardo testified he had planned to go fishing that day but that Rodriguez ordered him to drive the car, which led them to the expressway and ultimately the shooting that left the teen dead. Guajardo, who was the last suspect arrested in connection with the shooting, was found by authorities weeks after the shooting at a residence in Sugarland, where he was staying with an uncle related by marriage to Jeffrey “Dragon” Juarez, a founding member and general of the Tri-City Bombers. Juarez is serving a 30-year prison sentence related to a 2010 Mission murder of a local businessman, according to court records. Three other men were also arrested in connection with the fatal shooting: Justin Harvey Rojas, of Donna; Fernando Reyna, of Alamo; and Isaac Cerda, of Donna, but the trio later had their charges dismissed, according to court records. At issue for Guajardo is his contention that, despite his role as the driver in the September 2015 shooting — he did so under duress and was afraid for his life. Working against Guajardo is the Texas Law of Parties, which states that a person can be held criminally responsible for the actions of another in certain circumstances, this being a murder case in which the co-defendant has already plead guilty. In his last court hearing in early March, 398th state District Judge Keno Vasquez advised Guajardo that because his defense is that he drove, but did so under Rodriguez’s threat, he would be required to take the stand at his trial. “You’re going to have to explain to (jurors) what happened, you can’t just say you were under duress,” Vasquez said during that pre-trial hearing. Rodriguez is expected to testify against Guajardo during the trial, according to an official familiar with the case but not authorized to speak about case specifics. A call for Guajardo’s attorney Christopher Sully went unreturned as of press time.